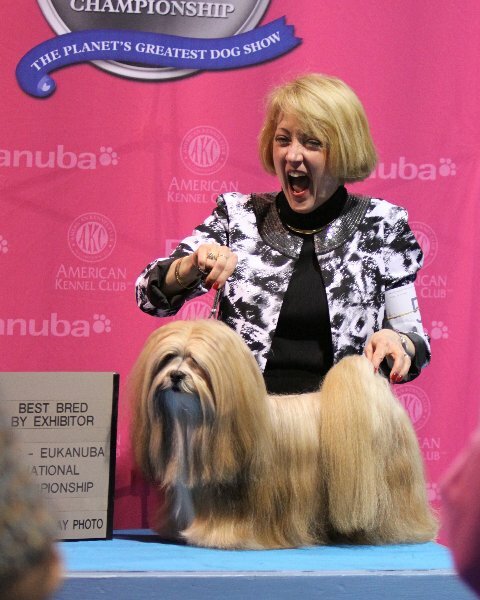 Becky sent this “candid” taken right after I won BBE and before the Eukanuba photographer and Judge came for the Professional picture…….guess I couldn’t contain my how thrilled I was !! LOL … that’s our Ginny!! What a great photo!! Willie & Tango are so proud!